NEWS articles about damage caused by spray drift seem to pop up regularly, almost as daily reminders, during the summer months. Whether it be dicamba related issues in those states of the United States where dicamba tolerant soybeans are grown, 2,4-D related issues in the Australian cotton-growing region or any number of other events that are reported on in the news on a regular basis, spray drift seems to be omnipresent. Chemical drift can have far reaching consequences, from not properly spraying the field that you intend to spray, to damaging a neighbour’s crop or even creating a health hazard for humans and animals. In the long run, the consequences of repeated spray drift can mean that growers lose access to key weed control tools. Examples of this are repeated calls to ban or restrict the use of 2,4-D in Australia’s cotton growing areas, with similar dicamba issues in certain states of the US. 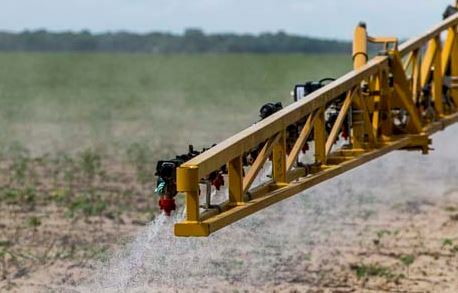 This recently became even more real for many growers as the scary prospect of losing glyphosate played out as Brazil temporarily banned the use of this valuable herbicide, even though there was no scientific justification for the decision. Growers and suppliers all over the world were relieved when this initial ruling in Brazil got overturned, but it was a good reminder that it is up to us to demonstrate responsible use so that they are not taken away, leaving us with more expensive/time consuming options. As shown above, there are a multitude of reasons that can cause off-target drifting, but all these reasons lead back to one common theme: operator knowledge. Droplet size for example is a factor of pressure and nozzle type, weather factors can be measured with a weather meter and product suitability information can be found on product labels. Identifying inversions however is not that easy and it takes some practice and experience. In most areas, spray operators have to successfully complete a training course before they are allowed to operate a spray rig, but these courses only really teach the basics and operators need more experience and on-the-job training to become proficient. 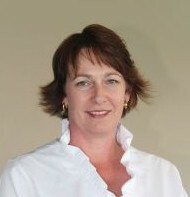 Spray application expert Mary O’Brien is a passionate advocate for sustainable agriculture. She conducts workshops in spray drift risk management and assists clients with record keeping and legislative compliance among other issues. In her role as spray application expert, she encounters problems caused by spray drift on a daily basis. “I believe most operators are trying to do the right thing but they are not confident in identifying inversions and they put too much emphasis on delta T which leads to night spraying,” Ms O’Brien said. Ms O’Brien said she strongly encouraged good spray record keeping because records were the best way to demonstrate what was done and how it was done. “Having detailed records demonstrates due diligence and will be invaluable if your practices are ever questioned. Systems that provide access to critical information and constantly remind applicators to check what they are doing will help keep best practice at the front of everyone’s mind,” she said. Farm Management Systems (FMS) will play a key role in future in helping growers fulfil regulatory requirements in many aspects of their operation and spraying is one of them. Growers need to keep a record of what is being sprayed on each of their fields, when their fields have been sprayed and the climatic conditions at the time of application; increasingly growers decide to automate this process. By linking an agronomists’ spray recommendation to a farm worker’s job list, critical information can be accessed by the spray operator, irrespective of time and place. Information such as product and rate are pre-filled in a work order already in collaborative systems, so spray operators don’t have to double-enter information. Agworld co-founder and chief strategy officer Matt Powell said Agworld was designed around the principle of collaboration which involved everyone on or around the farm, such as agronomists, growers, farm workers and custom applicators. “Part of getting farm workers involved is making it super easy for them to record data onto the Agworld platform, but also letting them access critical information pertaining to the jobs that they are performing and the exact location they should be spraying,” he said. By providing spray operators with a Standard Operating Procedure (SOP) that involves accessing the work order and product labels and then entering nozzle, pressure and weather information in an app such as Agworld that makes this information available to the grower, agronomist and everyone else involved, a lot of issues can be prevented. “Spray drift issues can cause friction between neighbours and are often very costly affairs when fields, vineyards of orchards get damaged,” Mr Powell said.